Vape Additive Choose an optionCBDfx 120mg. WHY CBD VAPE OIL ADDITIVE 120mg? You can use any vape gear to treat your body to a moderate dose of CBD by simply adding it to your favorite e-juice. Or squirt a few drops under your tongue. THIS PRODUCT IS PERFECT FOR YOU IF: You need only a moderate dose of CBD to quickly feel its healing benefits for anxiety, pain, insomnia, and other conditions. WHY CBDFX? The best CBD vape oil additives start with the highest-quality hemp oil. Ours come from plants grown organically at the world’s best farms in Europe. That’s right, we’re organic, so our CBD vape oil additives contain no toxic pesticide residues or other harmful chemicals. And they’re made with full-spectrum CBD, so you get all of the cannabis plant’s healing nutrients, such as fatty acids, terpenes, and amino acids. 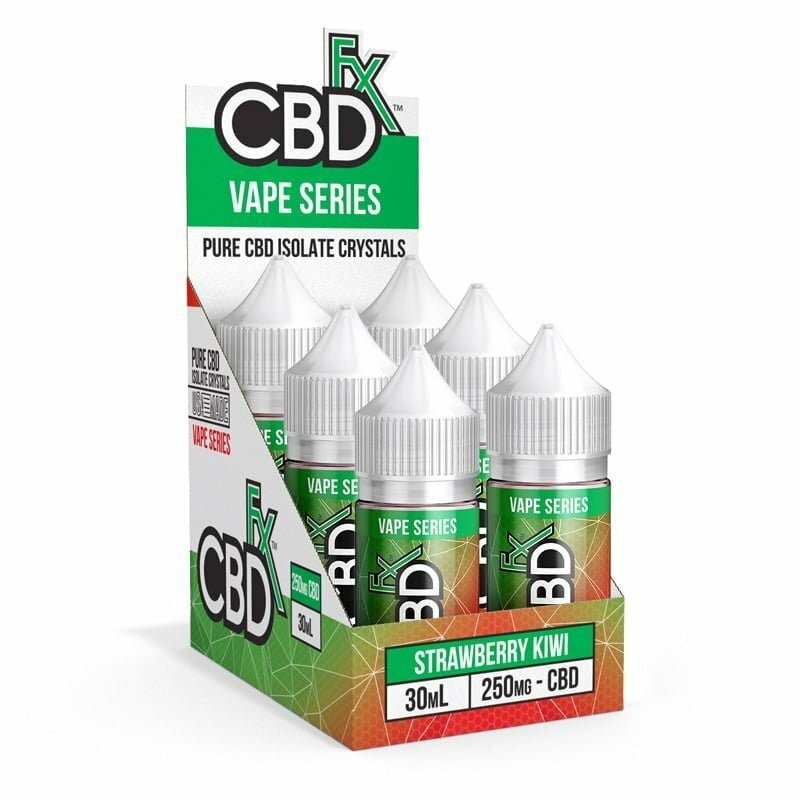 CBDfx CBD vape oil additive 120mg has three food-grade ingredients—they’re safe enough for the oil to be taken as a tincture under your tongue or mixed into food or drink. HOW DO I USE IT? Follow the label instructions. Start by adding half a dropper to a tank of vape juice. Add up to one full dropper if you want a stronger dose. You can use CBD vape additive 120mg in your vape gear by itself, though the taste of full-spectrum hemp oil is distinctly earthy. If you want to try CBD vape oil additive 120mg orally, start with one full dropper (about 12mg of CBD). ANY SIDE EFFECTS? CBD vape additive 120mg is all-natural, safe, and fully legal. Regular users report zero to minimal side effects, including no psychoactive effects. Should I get CBD Vape Additive 120mg or 300mg? CBD vape oil additive 120mg delivers a substantial dose of cannabinoids for help with a wide range of health conditions, including chronic pain, anxiety, and insomnia. 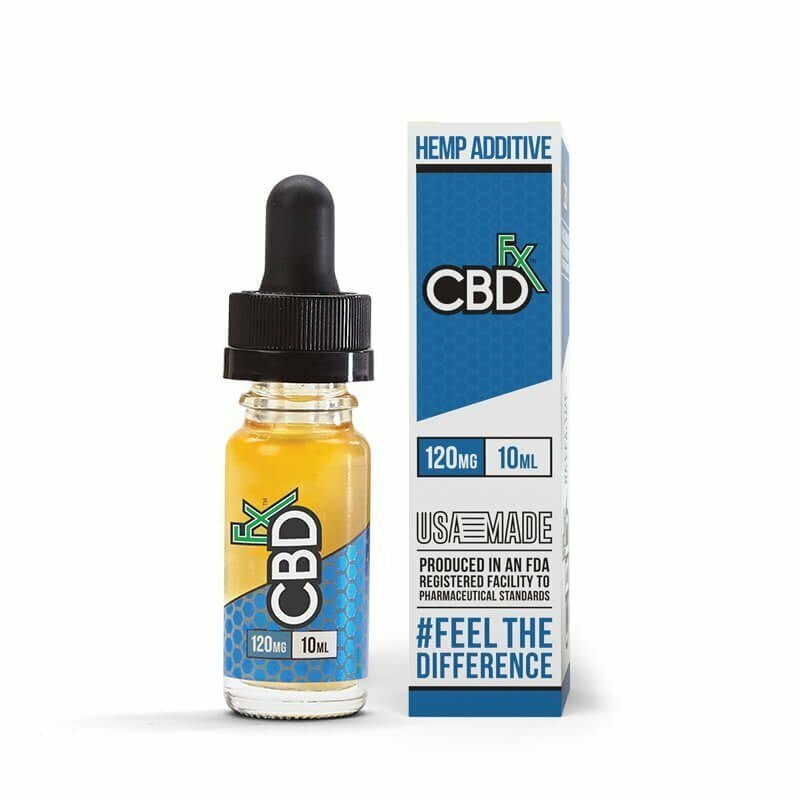 If you are relatively new to using CBD or if you weigh less than 150 pounds, CBD vape additive 120mg provides you with the full benefits of the CBD in just a half to a full dropper dose. It has a leafy flavor (like green tea) that blends well into all kinds of flavored e-juice, yet it isn’t too overpowering to take orally. Do I need a medium-strength or high-strength CBD vape additive? CBD vape oil additive 120mg is a good choice when you’re just starting out vaping CBD and when you want to use CBD throughout the day. It’s a medium-strength CBD vape additive that helps relieve pain, anxiety, and other daily concerns. You’ll know when you’re ready for high-strength CBD vape oil additive. For many people, that happens when their pain and other discomforts reach a peak, and they need a more concentrated dose of CBD to feel relief fast. If you’re above average in size, high-strength CBD vape additive will ensure you get the full benefits of CBD. When you find you’re using more and more CBD vape additive 120mg to get the same relief, a high-strength vape additive is a better option for you. How much should I consume daily? We recommend that you first try half a dropper of CBD vape oil additive 120mg in a tank of e-juice or under your tongue. After sampling this amount a couple of times, you can go up to a full dropper if you want a stronger dose of CBD. Does it have a flavor? CBD vape oil additive 120mg is made with full-spectrum CBD oil, which has all of the cannabis plant’s healing compounds, including terpenes and amino acids. It has a mild leafy taste (a bit like green tea) that mixes nicely with most flavors of e-juice. “It pairs well with sweet or dessert-type vapes,” says Gary R.
Does it leave an aftertaste in my mouth? If you take CBD vape oil additive 120mg as a tincture, you will notice its vegetal flavor for a brief time after it dissolves under your tongue. When you use CBD vape additive 120mg with flavored e-juice, you almost don’t notice its flavor. Should I buy your vape pen starter kit too? CBDfx vape oil additive works with any vape pen, but the CBDfx vape pen kit is designed to heat up to temperatures that optimize the efficiency and taste of our high-quality, full-spectrum CBD oils. It ensures you will never burn your oil.